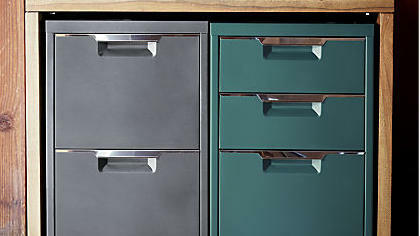 Foundry Desk in Sergeant Green ($999; maple wood, also available in "Industrial Yellow"), Schoolhouse Electric & Supply Co.
TPS 3-Drawer Filing Cabinet ($159 each; steel with powder coat finish), CB2. 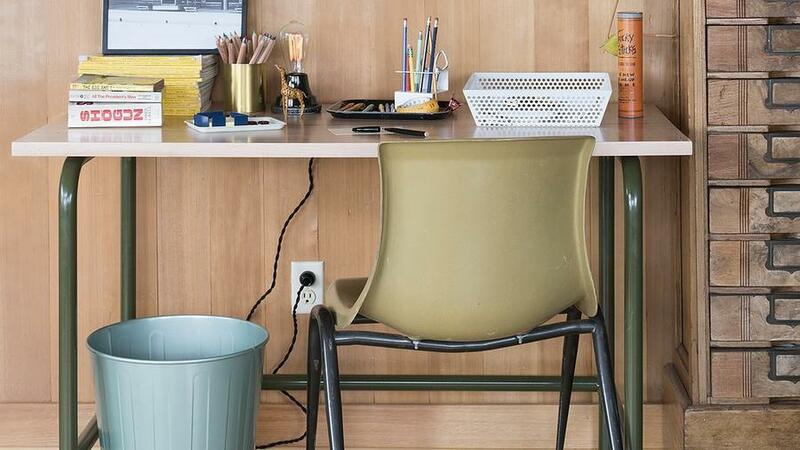 The key to keeping a home office tidy: drawers, drawers, and more drawers. Keep the space from looking too corporate with file cabinets that add style and color to the space. These cabinets come on four casters with two front breaks for easy mobility wherever you're working. Saddle Swivel Office Chair ($349; solid wood legs with Acorn-stained finish; mid-century inspired design), West Elm. 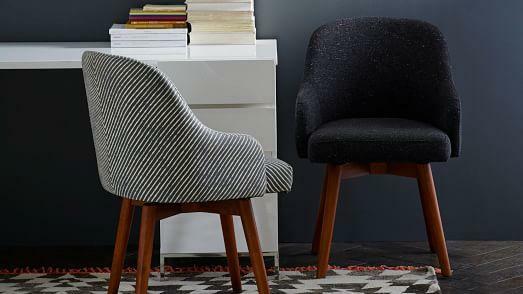 Office chairs don't have to have a corporate look. If your home office is in an open space in your home (the living room, the stair landing—a space without a door), keep with your aesthetic by choosing furniture accordingly. Sawyer White Leaning Bookcases ($477; set of three), Crate & Barrel. 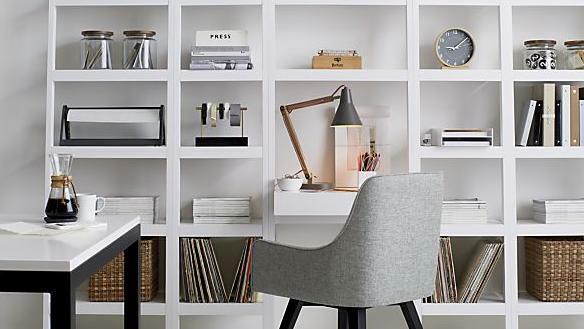 Make your tools of the trade look artful by styling your office supplies on beautiful bookcases. Stack books, incorporate file boxes, and arrange office accessories in canisters. Love working from the dining table, but don't want to work at the dining table? 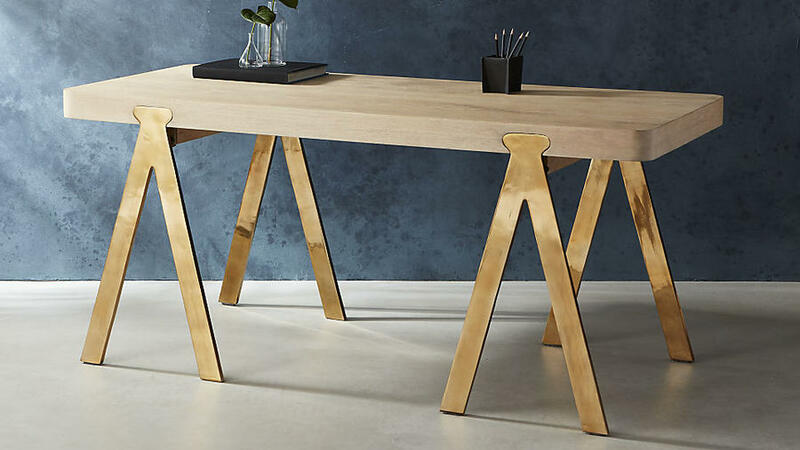 Choose a desk with a large surface and a strong design detail. Bonus: Clear the desk and drag it into the dining room when you need extra surface for entertaining. 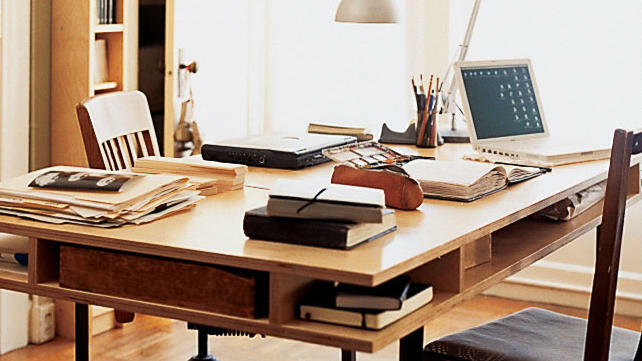 Is your dining table your default home office? Consider commissioning a custom table with storage so you can tuck away work accessories when it's time for dinner. Copenhagen Office Cabinet ($1299), Room & Board. Tuck a compact desk cabinet into a bedroom corner for a workspace as discrete in utility as it is beautiful in craftsmanship. 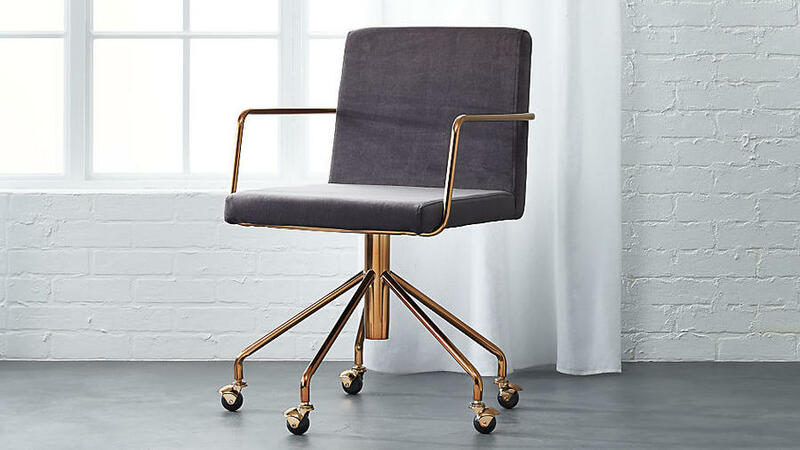 Rouka Office Chair ($299; steel frame in brushed brass), CB2. Contrary to popular belief, an office chair can sit pretty. With this beauty by Jannis Ellenberger, the materials mix works hard as "industrial loft style and a bit of mid-century." Remodeling the garage into a guest house? Design shelves and a shelf desk into the space so it doubles as a home office when not hosting house guests. Pro tip: This adds extra value for the lodger if you rent your guest house on Airbnb or via another home rental service. 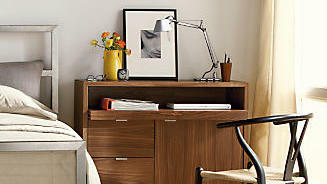 Linden Mid-Century Wall Desk ($799; colored lacquered drawer front option), West Elm. 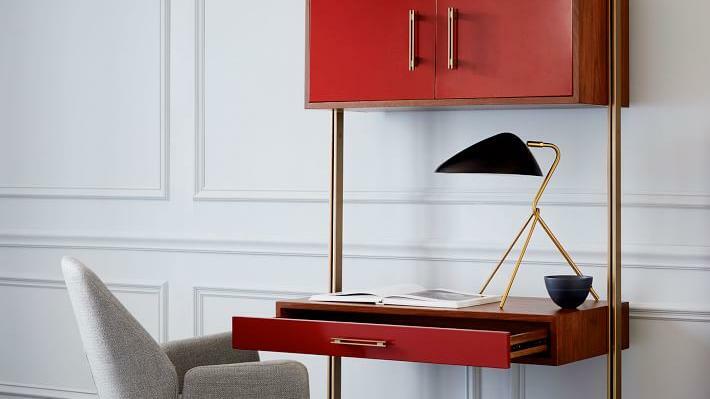 Chose a refined cabinet/desk unit that attaches to the wall for an office area that can reside front-and-center in a living space without interrupting the aesthetic.